Public engagement for the Bunker Hill redevelopment project began with the formation of a resident working group. Group members identified themselves as representatives of the Bunker Hill community and as people particularly interested in the planning process for Bunker Hill. The greater Charlestown and Boston community has also been engaged and informed in the project following initial engagement with the residents of the Bunker Hill Apartments. BHA Hosts public meeting to introduce development team. The Resident Working Group met regularly in late 2015 and early 2016 and consulted with the planning team. Members shared their priorities, values and desires for the redevelopment of Bunker Hill and helped shape both the design and wider community-engagement strategy for the project. After several meetings with the planning team, the Resident Working Group helped prepare and lead a “charrette” (essentially, a daylong brainstorming session), for all of the residents of Bunker HIll in January 2016. The results of the Resident Working Group sessions and the Resident Charrette helped the planning team identify planning priorities that reflect Bunker Hill residents’ needs and prepared the team to begin engaging the rest of Charlestown and a wider audience in March 2016. 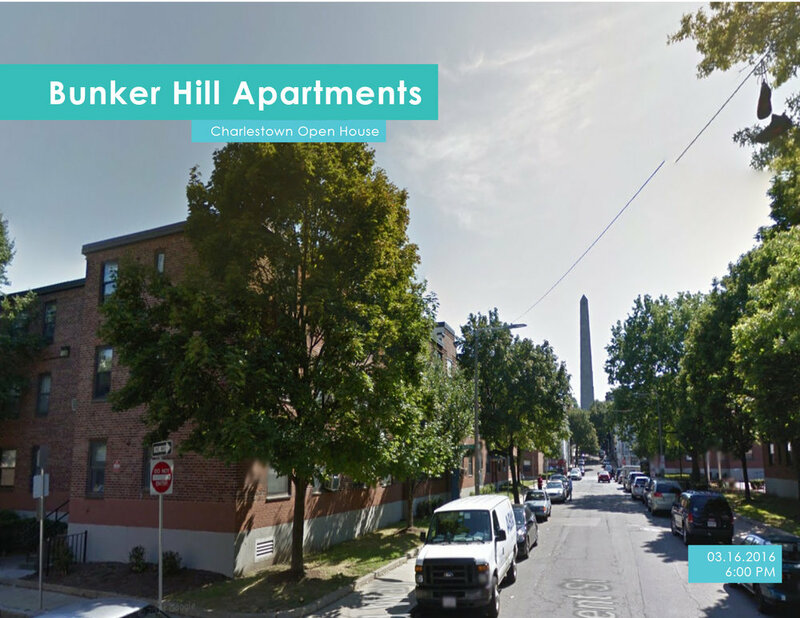 All Charlestown residents were invited to join the Resident Working Group for an open house in March 2016, during which the development, planning and design team presented initial plans for Bunker Hill. The team listened to residents’ ideas and answered questions at different stations during the two-hour event. Response to the presentation and conversations with the team was generally positive, and most residents said that they looked forward to the development. Many comments showed deep support for improving quality of life for those currently living at the apartments and a desire to transform the current site into an inviting neighborhood.